Today, I want to share my best advertising strategy for network marketers. This is a simple strategy that I use to promote my own business and products. It works for me, and there’s a good chance it could work for you. As quick disclaimer, I must say that individual results will always vary. When it comes to advertising, there is a right way and a wrong way to do it! If you do what most network marketers do and just promote your business opportunity, you will get nowhere fast. That’s a dead end road and complete waste of time and money. Don’t believe me? Just look at how many people are doing this online. And for every person that stops or quits, five new people start up! Rather than promoting your business opportunity online or offline, you should get creative and offer something else. You should offer something for free, in order to generate a lead. For illustrative purposes, let’s assume that you are affiliated with a wellness company, like I am. You sell weight loss products and several other health oriented product lines. With this example, here are a few effective ways you could use to grow your business. Now, this might sound weird to you right now. You might be wondering WHY you aren’t saying anything about your business opportunity. Well, the purpose of this form of advertising is TWO FOLD. First and foremost, you are differentiating yourself from everyone in the marketplace. Few people use this strategy, so this makes you stand out and get noticed. The second reason you want to use a similar strategy (and most important) is because you are using a two-step selling process. Your goal is to generate a lead FIRST, by giving away something with a high perceived value for free and then offering your products and business opportunity on the back end. This two-step selling process is the BEST and easiest way to grow your business. With the examples I provided above, this is how it would work. When people called your pre-recorded message they would listen to your short sizzle message and leave their mailing address so you can mail them a sample. The beauty of doing this is that you get their mailing address and you can follow up with them several times in the future by mail and phone, which gives you a good chance to convert them into customers or distributors. You would simply mail them a sample within a couple days of requesting one. After doing that, you could send a follow-up letter explaining more about the products. A week later you could send additional information. By having a good follow-up process, you could find a lot of customers and reps.
And best of all, you would have LEADS. You could offer a variety of products and services to these leads and generate multiple streams of income. Your goal would be to write a quality newsletter each month and to get lots of people to visit your website and sign up for your newsletter. You could provide tons of great weight loss tips in your newsletter AND you could talk about your products. Once again, your goal would be to generate leads and then follow up with a sequential mailing or email series. Example # 3: The third example I provided was to do a advertise a free 7-day email Weight Loss Boot Camp. What I would do with this strategy is create 7 good email messages with some great weight loss tips. In each message, I would also briefly cover one different product my company offered. You would simply draft up 7 REALLY good emails that are comprehensive and have tons of good information about weight loss tips. Your goal would be to provide a lot of value and help educate your subscriber. By the end of the Boot Camp, people would see you are a person of value and they would know that you offer weight loss products. Some of your subscribers would become customers of yours (or distributors). Once again, you would focus on generating leads for your newsletter, and then let your newsletter sell them on the benefits of your products and company. Example # 4: In the fourth example, you could offer a free weight loss CD or DVD. You could make an educational CD that you give away on your website. You would offer the CD for free, in exchange for someone’s contact information. Once they requested the CD, you would mail it to them. The CD would educate them about weight loss and briefly cover your products. In addition, you could send a sequence of follow-up messages to convert them into customers or distributors. The beauty of building your business the way I just described is that you are really in a competition free zone. And people will be MUCH more receptive to FREE information than they are about joining a business opportunity. Your goal would be to give away as many of your free items as possible in order to GENERATE LEADS. From there, you would follow up with all of your leads with a SEQUENCE. In that sequence, you could offer your products and/or business opportunity, since you know these folks are in your target market. Some folks will become customers and others won’t. You can offer a variety of different products and services to your list and you can even rent or sell your list for additional income. The bottom line is you can create multiple streams of income for your business. 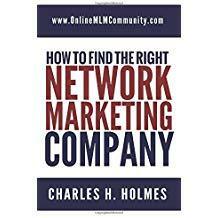 As I see it, this is the best way to advertise your network marketing business and get more customers and distributors. What are your thoughts? Leave a comment below to let me know what you think. I look forward to hearing from you. Free does work if done properly. I use it every so often on my Kindle books. I will give it away for free for 1 or 2 days and when that expires, I usually have some sales. This is because it gets put at free give-a-way websites, and the ad is till running even after expiration. You have a great system Chuck. Great post. I’ve done the same thing you are talking about with my Kindle books in the past and got similar results! I’m in the energy industry. I can’t give a way a free sample. What am I to do? Give away a free report that explains how people can save money on energy! I agree that nothing gets potential customers in the door faster than a coupon or a free sample. I know that I am a sucker for such things. (Nothing gets me back to the Clinique counter to replace items that I had not realized I was running low on like one of those gift offers.) Or most other companies also. I think that is why food MLM’s are so popular, at least in the area I live in. First of all, everyone shows up at the party because they know that there is going to be free food. And second, everyone buys the items because they have had a chance to sample them and figure out what they know they are going to like.